Bicycle company Trek recently settled a trademark law suit over their series of mountain bikes with “fat” tires that allow the riders to traverse virtually any terrain. 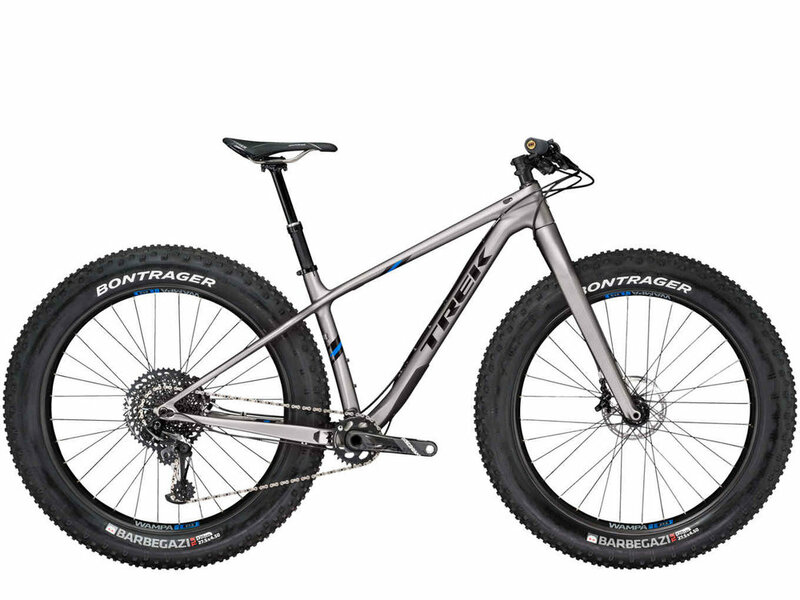 Trek dubbed the bikes the “Farley” series. The estate of the notoriously heavy comedian (an absolute genius), Chris Farley, filed suit claiming that Trek purposely did this in an effort to trade off on Farley’s name and his “fat guy” brand of comedy. Trek and Chris Farley’s estate settled for undisclosed terms. It continues to sell the bikes under the Farley name. The trademark law suit filed by Farley’s estate centers on the concept knows as the “right of publicity,” or the right to control the commercial use of one’s identity The right of publicity is based on the idea that one has the right to keep his or her likeness from being exploited for commercial gain without just compensation. Every person has the right to protect their own identity, but most disputes center on the unauthorized use of the name or likeness of celebrities. In many ways, the right of publicity is similar to the use of a trademark. It functions as an assurance of quality to the customer, who may look to certain celebrity endorsements when deciding whether to purchase a product. There have been several famous trademark law suits surrounding this right in recent years, and although most of them end up settled out of court, they can still be extremely costly to the infringing party. Vanna White took action against Samsung in 2013 for using a robot that resembled her in an advertisement and was awarded $400,000. Singer-songwriter Tom Waits sued Frito-Lay in 2016 after the company used a sound-alike performer in an advertisement and was ultimately awarded $2.5 million. In addition to the right to receive compensation, courts considering these cases tend to emphasize that a person also has the right to control how he or she is commercialized and to choose what, if any, products or services, he or she might want to endorse. The right of publicity is not encompassed in federal law, but a majority of states recognize the concept as it relates to a person’s name, image, and likeness. Currently at least twenty-two states have the idea codified in a statute. The majority view in the judicial system is that the right of publicity exists in every state that has not explicitly rejected its existence. However, the specific provisions within the right can vary greatly from state to state. Many states recognize post-mortem publicity rights, while others only grant publicity rights to people during their lifetime. In the case of Chris Farley and the Farley bike, Trek may have violated the comedian’s right of publicity based on the law in the state of Illinois, where Farley died, because no permission was obtained for using Farley’s name. If you’re looking to use a celebrity’s name or likeness, it’s imperative that you research right of publicity laws. If Trek had taken time to consider this issue, the company may have hit the brakes on its marketing plan and would have likely steered clear of any legal action. If you have questions about your company’s marketing plan, contact Scott Brownhere.